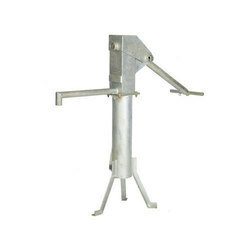 Mark II Hand Pump- This type of pump is widely used in open well installation for lifting water from depths of 12m to 50m. 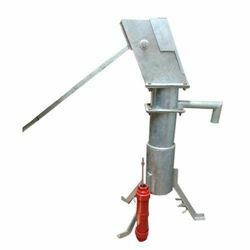 AfridevHand pump - These pumps are considered as true VLOM (village level operation & maintenance) pumps, basically used for lifting water from depth of 10mtrs to 45mtrs. Depths Up to 90 meters. 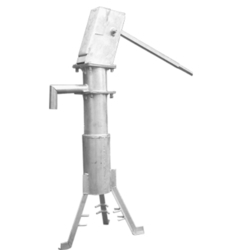 India Mark II Extra Deepwell Hand Pump- The hand-pump is suitable for lifting water from depths of up to 90 meters. 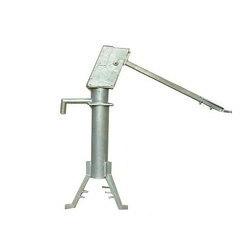 India Mark III Hand Pump- The model is capable of taking water from depths of 45mtrs. Looking for Mark Hand pumps ?